Thank you for your interest in the Professional Bull Riders. The PBR is proud to be partnered with the following organizations for our Built Ford Tough Series. When an athlete, bull rider or bull fighter, is injured in the competitive sport of bull riding, their financial security can vanish in less than 8 seconds! TheRider Relief Fund, a non-profit organization,provides injured athletes and their family with financial assistance to defray daily living expenses such as food, shelter, and utilities. TheRider Relief Fundsupports athletes at all levels of competition. In 1998, the Rider Relief Fund was established when generous and caring fans reached out to the Professional Bull Riders, Inc., following Jerome Davis' career-ending injury. Today, the Rider Relief Fund continues its mission…providing financial assistance to athletes injured in the sport of bull riding. The Rider Relief Fund is a non-profit, 501(c)(3), organization and operates on charitable contributions from companies and individuals. 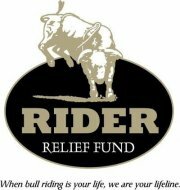 To learn more about the Rider Relief Fund or to make a donation online, please visit www.RiderRelief.com. The Believe In Tomorrow National Children's Foundationcelebrates 30 years of providing exceptional housing services to families of critically ill children. Whether an overnight stay at The Believe In Tomorrow Children's House at Johns Hopkins, or a weeklong retreat in one of five respite homes, Believe In Tomorrow's programs work hand in hand as a support system when families need it most. Each Hands On Adventure acts as an extension of the respite housing program to provide children unique opportunities nationwide, encouraging them to look past their illnesses toward the promise of tomorrow. Celebrate with us by visiting www.believeintomorrow.org, and join us at facebook.com/BelieveInTmw and @BelieveInTmw. Since 1980, the Make-A-Wish Foundation® has given hope, strength and joy to children with life-threatening medical conditions. From our humble beginnings with one boy's wish to be a police officer, we've evolved into an organization that grants a child's wish in the U.S. every 40 minutes. In 1984 four hunters from Troy, Montana created the Rocky Mountain Elk Foundation which would directly benefit elk and other wildlife by putting money to work on the ground. 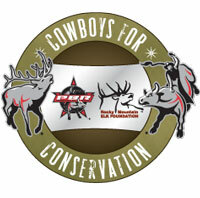 The foundation raises and donates money to projects that conserve, restore and enhance natural habitats, promote the sound management of wild and free-ranging elk, foster cooperation among federal, state, tribal and private organizations and individuals in wildlife management and habitat conservation and educate members and the public about habitat conservation, the value of hunting, hunting ethics and wildlife management. In every community, boys and girls are left to find their own recreation and companionship in the streets. An increasing number of children are at home with no adult care or supervision. Young people need to know that someone cares about them. Boys & Girls Clubs offer that and more. Club programs and services promote and enhance the development of boys and girls by instilling a sense of competence, usefulness, belonging and influence. Boys & Girls Clubs are a safe place to learn and grow - all while having fun. They are truly The Positive Place For Kids. America Supports You is a Department of Defense program that provides opportunities for citizens to show their support for the US Armed Forces. The program was launched in 2004 in an effort to highlight citizen support for our military men and women and communicate that support to the members of our Armed Forces at home and abroad. America Supports You connects individuals, organizations and companies to hundreds of homefront groups offering a variety of support to the military community. The program alsoconnects military service members and their families to homefront groups that provide assistance. The America Supports You website, www.AmericaSupportsYou.mil, provides a one-stop location for citizens and service members to connect with hundreds organizations eager to help. America Supports You homefront groups show support in many ways including writing letters and e-mails, sending care packages, offering scholar­ships and helping the wounded when they return home. Dozens of corporations, recognized on the website, are also America Supports You supporters.